Fruiting OliveEvergreen shrubby tree. 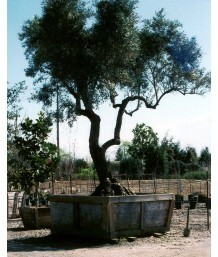 A smaller growing Spanish olive tree. 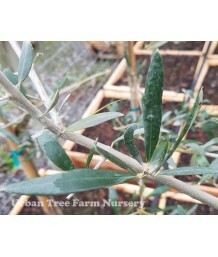 Self-fertile and a good..
Fruiting OliveEvergreen shrubby tree. Pruned into a column shape. 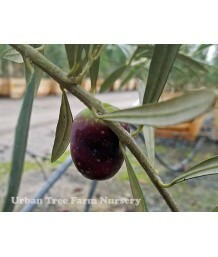 A smaller growing Spanish olive t..
Fruiting OliveEvergreen shrubby tree. Pruned to have a single trunk. 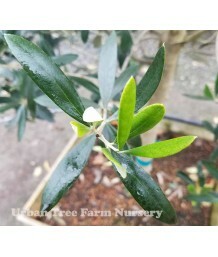 A smaller growing Spanish oliv..
Fruiting OliveEvergreen shrubby tree. Vigorous for an olive. Beautiful gray-green color foliage. Lar..
Fruiting OliveEvergreen shrubby tree. Pruned to have a single trunk. Vigorous for an olive. Beautifu..
Fruiting OliveEvergreen shrubby tree. Moderate growth rate. Rounded, open canopy with drooping effec..
Fruiting OliveEvergreen shrubby tree. Pruned to have a single trunk. Moderate growth rate. Rounded, ..
Fruiting OliveEvergreen shrubby tree. A tree of strong vigor with an erect habit and canopy of mediu..
Fruiting OliveEvergreen shrubby tree. 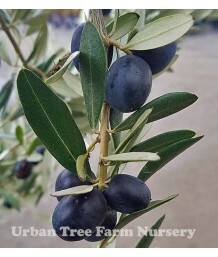 The sweet, spicy Leccino olive is grown primarily for oil. The..
Fruiting OliveEvergreen shrubby tree. 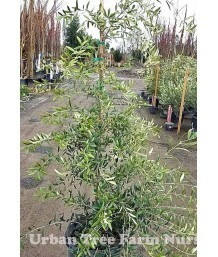 The most popular table olive in California, Manzanillo is a la..
Fruiting OliveEvergreen shrubby tree. This specimen has a straight, central trunk with branching sta..
Fruiting OliveEvergreen shrubby tree. Pruned to have a single trunk. 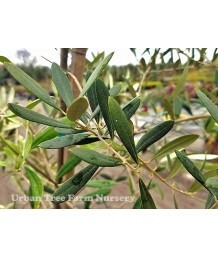 The most popular table olive in..
Fruiting OliveEvergreen shrubby tree. Upright vigorous growth. Italian/Tuscan variety. Needs a polli..
Fruiting OliveEvergreen shrubby tree. Mexican origin. Self-pollinating. 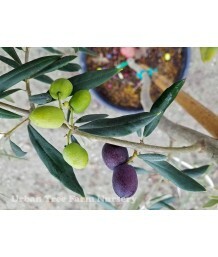 This widely used table olive..
Fruiting OliveEvergreen shrubby tree. Older, larger specimen than traditional container sizes. Mexic..
Fruiting OliveEvergreen shrubby tree. Pruned to have a single trunk. Large tree. Mexican origin. Sel..
Fruiting OliveEvergreen shrubby tree. Mainly as a pollenizer in Tuscany, but for landscaping Pendoli..
Fruiting OliveEvergreen shrubby tree. Pruned to have a single trunk. Mainly as a pollenizer in Tusca..
Fruiting OliveEvergreen shrubby tree. Spanish variety brought to California in the 1800's. Self-poll..
Fruiting OliveEvergreen shrubby tree. Pruned to have a single trunk. Spanish variety brought to Cali..